Employee Recognition is nothing but the acknowledgment of an individual or team for their hard work, efforts, and accomplishments that go with the organization’s goals and values. It creates a friendly atmosphere, induces a sense of belongingness and closeness and altogether creates a supportive work environment. But most often than not employees feel they are not valued in their organization and they don’t receive their due recognition. How important do you think it is to build a workplace recognition culture? Do you think you need to run an extra mile to make your employees happy and feel appreciated? The answer to all these is a whopping YES! According to Forbes, only 15% of employees worldwide are engaged in their jobs. When employees are engaged they are willing to commit their time, talent and energy in adding value to their organization. More Gallup research shows that employee disengagement is directly related to loss of productivity. Worldwide, only 13% of employees working for an organization is engaged. Now with the arrival of the millennial employees, Employee Recognition is important more than ever. By 2020, more than 50% of the employees in the workforce will be millennials. If you are unwilling to implement an employee recognition platform that suits this huge section of the workforce, you need a wakeup call! Organizations must comprehend the drivers on which millennials are aligned. Millennials are creative, technologically advanced, multi-taskers, and critical thinkers. They do not mind long working hours and are always seeking new challenges. Millennials want to get their jobs done efficiently but also quickly. They want to have immediate results of their work and hence instant recognition for the job! The employee-employer relationship must go beyond the conventional once in a blue moon work review. Employee Motivation is paramount in a workplace. Employee motivation is directly related to the performance level of employees, employee retention, and Employee Efficiency. We can split Workplace Motivation into Intrinsic Motivation and *Extrinsic Motivation. Intrinsic Motivation: Intrinsic Motivation is the motivation that comes in the employees for their true love and passion for the work they do. It comes when the work they do provides them satisfaction and they desire to achieve goals and develop professionally. Extrinsic Motivation: Extrinsic Motivation is solely for money and other benefits. One can derive extrinsic from factors like pay, promotion and other programs designed to appeal to them. 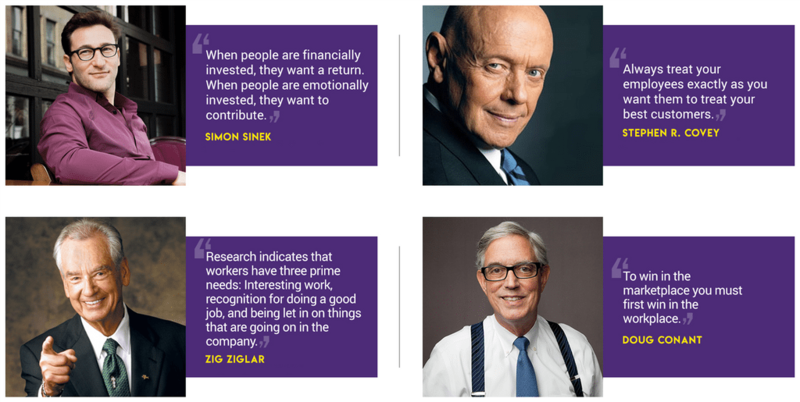 To get your organization to the top, positive work motivation is the key. A combination of both intrinsic and extrinsic motivation would be the perfect combination for any workplace. It can be tricky, time-consuming and might not always be cost effective but it is undeniably and unquestionably beneficial to your organization. Before coming up with a program the management should indulge themselves in brainstorming sessions. You should consider all the factors that can help the overall growth of the employees. They should also give detailed guidelines for their criteria to the employees and keep updating their categories according to growing trends. There should be distinct recognition for individual and team efforts. The program should be at all times fair to the employees. Clarity and transparency are very important in a Rewards and Recognition Program. If more than one individual succeeds in fulfilling the pre-defined norms, you should make sure that none is missing out from gaining the Reward/ Recognition. There should be an array of categories from which employees can earn recognition. There should be distinct guidelines but at the same time, it shouldn’t be too predictable for the employees. It will not only motivate the employees but at the same time will help the organization in excelling over a range of areas and expertise. Employee Recognition should be a timely affair. It should always maintain its consistency. There is a close link between employee recognition and the reason for which they are being recognized. Employee Recognition like any other form of Motivation is short lived and people do forget about it in due course of time. This is not something new or unheard of but offering perks and rewards still is and always will be in the number Uno position. Everybody loves a little extra! There is probably no greater joy for an employee than receiving a little extra than promised. Now benefits can be traditional employee benefits like Paid holidays, Salary Hike, Maternity Paternity and Adoption Leave, Retirement Benefits etc. But in the practical sense, these are no longer considered as rewards (or extra). According to Glassdoor, more than half (57%) of all workers say perks and benefits are among top things they consider when accepting a job. Also, almost 80% of employees say they would prefer new benefits – over a pay raise. Employees love it when you provide them with a plethora of benefits and perks. At HCL, employee satisfaction holds as much importance as customer satisfaction. The company maintains this balance through their ‘Employee First’ program where the prime focus is on anything that the employee needs. Support, Knowledge, Recognition, Empowerment, and Transformation are five important things that they take care of during the program. Employers can reward their employees with gift cards & vouchers for various activities, such as performance awards, or as a gift on special occasions and festivals, occasional bonus etc. Also, they can provide them with a platform where they could get them access to exclusive employee discounts and rewards from small to big purchases. It goes without saying that being thankful and expressing your appreciativeness is important in almost everywhere. But how often are you actually doing it? A small token of appreciation like a “Well done”, “Thank you”, “Congratulations” note every now and then. A shout out at the end of a tiring workday. A special mention at a gathering or a meeting. These small but thoughtful actions can go a long way in an organization. After all, in this highly competitive and rat race of a world everybody craves for some appreciation. Appreciation doesn’t necessarily always mean praising, more than praising they want to feel respected in the organization. When employees are treated with the respect they too do the same in return. Employers should try to treat each employee as a valuable asset to the company who are capable of making smart choices. Gone are the days when employers could implement a “one size fits all” formula for all its employees. In order to gain employee satisfaction, they have to understand that different employees have different needs. For example, some might want to use their reward for personal fulfillment like buying new gadgets whereas someone else might want to use their reward for the love of what they do like traveling. Giving away a turkey on a holiday to all the employees might have worked in the past but it definitely won’t work anymore. Employees feel valued when they receive custom benefits that are tailor-made for them. The easiest way to do that would be to provide them with a platform where they can get an array of benefit choices to choose from and easy to access comparison tools. This would ensure easy administration and the increasing popularity of the company or organization. Social Recognition is the best way in which employees can flaunt and exhibit their hard-earned appreciation. Annual, monthly and weekly awards are a great driving force in increasing performance levels in workplaces. Peer to peer recognition is a great driving force for employee engagement and enhanced performance rate. Digital and Social media recognition is probably the most effective way of Social Recognition there is for motivating the workforce today. 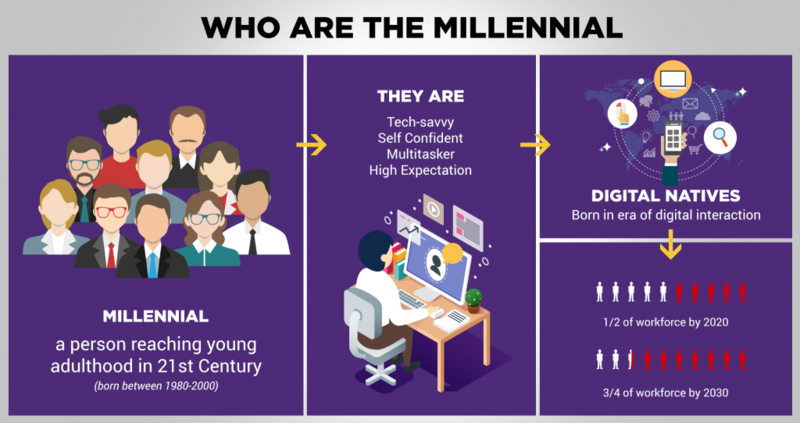 The millennials are digital natives, they’ve grown up in an era of digital and social media interactions and it has become a part of their lives. They like to spend a huge chunk of their time on social media and share their whereabouts. It will give them a larger platform to boast about their hard-earned achievements that aren’t limited to the interiors of their offices but has a global reach. Employers of big companies and MNCs can even try to provide the employees with a web-based social platform exclusively for employees where they can share their accomplishments. This would also ensure inter Connectivity, acquaintanceship and healthy competition among employees working from various departments and places for the same company. Wikipedia defines employee morale as the job satisfaction, outlook, and feelings of well-being an employee has within a workplace setting. Building a positive morale in the workplace is not just another way to establish Employee Recognition but it is, in fact, di regueur. When the morale of a workplace goes down it directly jeopardizes the business. Low morale is often characterized by an array of negative attitudes towards work such as lack of interest, pessimism, laziness, apathy etc. The employer and the management should constantly work on identifying and eliminating the factors leading to low morale. The first step in doing so is** effective communication**. The best way to value your employees is to listen to them. They feel motivated to be a part of the decision-making process of defining the company’s work culture. Your employees shouldn’t hesitate to talk to the higher authorities directly. Also, there must be a feedback culture in the organization and there should be a balance between positive and negative feedbacks. Secondly, Employees should have a Work-Life Balance. It is your job to make sure your employees aren’t feeling overburdened with work. Freedomin the workplace and flexible work timing is very important to keep the employees engaged at work. For example, it can be a good idea to grant employees some time off to pursue something that they are passionate about. Employees should enjoy working in the organization and the workplace must have some elements of fun. Also, the company should make the employees clear about its vision, values, code of conduct and policies. Employees should be appreciated for their exceptional conduct and behavior in the workplace. Training can also be provided in order to develop positive work attitude among employees. All work and no play might not make the employees dull, but it does make the workplace monotonous and unexciting. Nonprofessional benefits for Employees can be many. It can be organizing events where the employees can showcase their hobbies and interests such as Cultural Events, Sports, and Fitness Events, Painting events etc or organizing events that create social awareness and brings social change or other unique and out of the box events where everybody can take part and have a fun time. These benefits primarily aim towards the Physical and Emotional wellbeing of the employees. Sometimes it can also be encouraging employees to take up a challenge or an activity or a hobby that will be fun and beneficial in the long run. REI encourages its employees to get outside by offering two paid days off each year, called “Yay Days,” to enjoy their favorite outside activity. Burton employees receive season ski passes and “snow days” to hit the slopes after a big snowfall. Employee Recognition is the key to make your organization come to life. Employee Recognition is no longer an option but a must-have in your organization. Millennials have different expectations from their employers and you need to make some major adjustments to be inline with them. Employee Recognition goes far beyond the conventional ways and it requires mindful planning and execution. You can actualize an effective Employee recognition Program with well-defined criteria, and by maintaining variations, timeliness fairness in the program. In the present scenario, where job opportunities are plentiful and job hopping a common phenomenon, the need for employee engagement is huge. And employee engagement is largely dependent on timely and frequent rewards and recognition. Although keeping your employees satisfied is not completely in your hands, giving them the right recognition at the right time is still is. 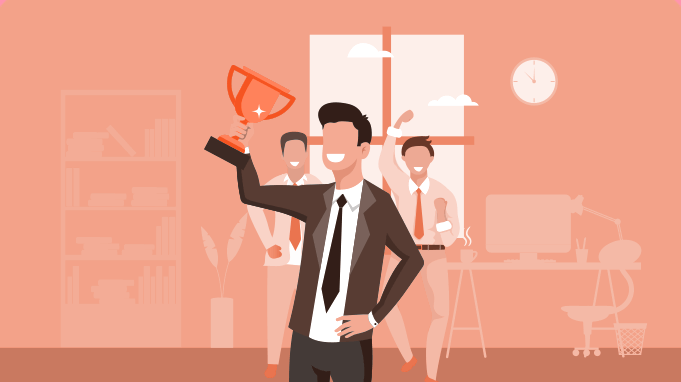 Implementing these 6 proven and powerful steps in your organization will surely help you get started on this journey of creating an employee-oriented recognition platform and help you prevent scary surprises! This article is written by Darsana Dutta. Darsana works as a Content Creator in Vantage Circle. She loves keeping herself up-to-date about latest trends around Employee Engagement and HRM space. She is a painter, a passionate book-worm and an Aquarian inundated by nature.